Create your products using the latest 3D product design and engineering software, including Inventor and AutoCAD, together at a great price. The Product Design & Manufacturing Collection offers connected, professional-grade tools that help you to make great products today and compete in the changing manufacturing landscape of the future. Provide your entire team all the professional-grade tools needed to design, test, manufacture and manage your product. Use a common data format across multiple engineering disciplines. End wrestling with file conversion and mismanaged data. Make better, faster decisions with advanced simulation tools that are integrated directly into the design environment. 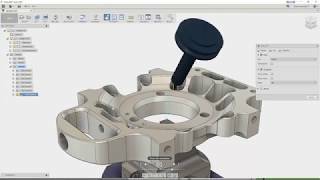 Quickly programme parts for a variety of machining processes and instantly update toolpaths whenever the design is updated. all from a single package. Build a single, complete definition of your product with applications that can reference in and update data created by other disciplines and software – promoting team collaboration and better handling complexity. 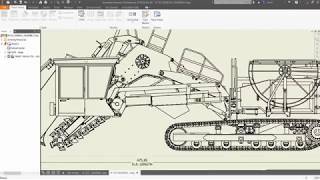 Increase productivity using the AutoCAD intended for your work, such as AutoCAD Electrical or AutoCAD Mechanical. Install what you want, whenever you like – whether it is for occasional use, to meet requirements of a particular project or client, or to explore new workflows. Choose between subscriptions that provide single-user access for an individual or give teams permission to share licenses with multi-user access. Resolve issues quickly with access to senior support specialists, moderated support forums, and exclusive training webcasts. Streamline deployment and software management by standardizing on a collection of Autodesk products and services. And conveniently manage all of your Autodesk products, services, users, and benefits in one central location. AutoCAD® Electrical software includes all the functionality of familiar AutoCAD software plus a complete set of electrical design CAD features. AutoCAD Mechanical engineering design software is AutoCAD for manufacturing designed to accelerate the mechanical CAD process within AutoCAD environment. 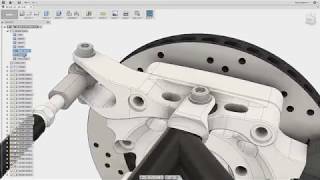 Fusion 360 - Product development has changed. So should the tools. AutoCAD - The forefront of design. View, create, edit and share DWG files on the go from your Mobile device. Navisworks® project review software products enable architecture, engineering and construction professionals to holistically review integrated models and data with stakeholders to gain better control over project outcomes. Factory Design Utilities, available only as part of the Product Design Collection, enables you to conceptualize, plan, and validate manufacturing facilities for optimized workflows and equipment placement. Design and document more efficiently with AutoCAD® Architecture software, created specifically for architects. ReCap Pro reality capture and 3D scanning software helps make building renovation, construction verification, and complex modeling projects more efficient. 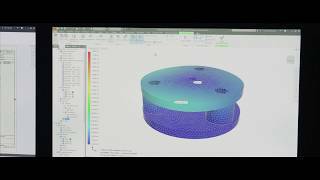 Access finite element analysis (FEA) tools for engineers and analysts. 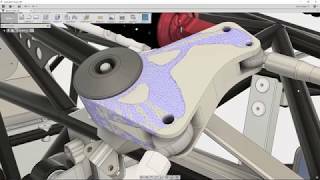 Inventor HSM and HSMWorks simplify the machining workflow with integrated 2.5-axis to 5-axis milling, turning, and mill-turn CAM for Inventor and SOLIDWORKS. The Autodesk Product Design & Manufacturing Collection is available on a range flexible subscription terms to fit your needs & budget.